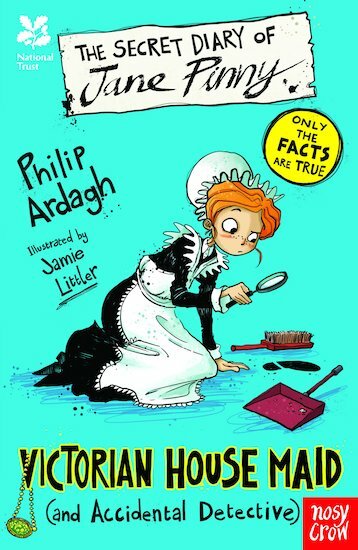 Jane Pinny has moved to the grand Lytton House to be a Maid of All Work. And being a Maid of All Work means that she has to do… well, ALL the work, obviously! Yawn! Cleaning, dusting, scrubbing, washing: there’s SO much to do in a Victorian country house. But when a priceless jade necklace belonging to the lady of the house disappears, Jane suddenly gets an extra job: detective! With the help of her best friend, a pigeon called Plump, can she find the missing jewels before it’s too late?